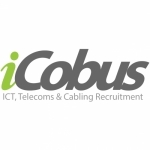 iCobus is an ICT, Telecoms & Data Cabling Recruitment agency based in London, offering labour solutions across the UK. We specialise in providing temporary, contract & permanent staff to the telecoms & data cabling industry. We offer a cost effective labour solution, by providing staff on a project specific basis and allowing our clients to grow their business and take on more projects, whilst eliminating staff overheads during quiet times. A data centre is a multifaceted structure that performs several functions when it comes to enhancing and expanding the business processes and output. For many companies, data centre support management could be overwhelming, especially if they lack the right monitoring skills or resources. Therefore, it is better to contract the data centre staff and management out to a third party service provider with the right knowledge, skills and expertise to handle data centre solutions and operations efficiently. Today, a great number of industries depend heavily on computers to manage their various businesses. To make communication and business processes go smoothly, many of these industries of course link their computers in a network via data centre cabling. This however ensures easy monitoring of workers' activities while in the office, passing on of instructions, and collecting data for efficiency reports. When it comes to networking whether in your work place or home, proper data cabling installation is key to the whole setup. Without a decent cable setup you can either end up having a non–functional network, or a very limited one, therefore it is a good idea to use the services of trained personnel. At iCobus, we have an enviable track record of years of experience in data cabling installations. Our professionalism is one of the key reasons why we have been involved in a number of sectors across the UK including corporate, education and retail sectors. IMAC is an acronym that stands for the 4 basic needs of the IT service sector including Installations, Moves, Additions and Changes. It is among the most recognised services in today's world of information technology business. With more businesses looking to build an efficient and sturdy information technology infrastructure, the need for IMAC services is felt more and more across all verticals. Having said that, service providers must ensure that installation of new hardware and software, relocation of equipment, upgrading existing infrastructures, and changes to configuration are in accordance with a company's growing needs and demands. iCobus offers short-term and long-term IMAC solutions for a comprehensive range of organisational needs. Our services complement our clients' internal resources by providing professionals, with unique sets of skill, extensive knowledge, and the capability to handle peak workloads; thus providing you with the opportunity to focus more on other core business aspects. You can have direct access to our trained professionals and tools to support both your unique and non–routine needs, so as to ensure business continuity. Our IMAC services are available to you whenever specialised sets of skill or short term support are required to solve a particular situation in your IT section. Whether it is for an on demand, or a specific period of time, or constant basis, we have the knowledge and right resources to meet your needs. iCobus is professional data cabling contracting agency that delivers industry–leading results for clients. Whatever the project is, our engineers have what it takes to deliver on time results and compliance with any agreement. We specialise in installation of data cabling that aid the links for communications to occur on networks created for a broad range of services and such that the latest networks can support. The import of a correctly installed and specified cabling system shouldn't be underrated which is why, iCobus has always employed professional Cat 6 engineers to make sure that traditional interdependencies between network switching, routers, servers as well as wireless equipment, can now co-exist with multimedia signage, security systems, CCTV and HVAC building controls. Due to the complexity of these systems and the environments in which they're set up, it is critical that cabling networks are designed in regards to these diverse requirements. Our organisation partners with world–class merchants who enable our Cat 6 engineers to provide cabling infrastructure suited to most applications across the large industry. I've used iCobus to find me a 30 data cabling engineers and fill my data cabling jobs. They filled every vacancy within about 48hrs and i still use the majority of these roles to date.